The last time this few Americans sought the help of government after losing a job was in November 1969. 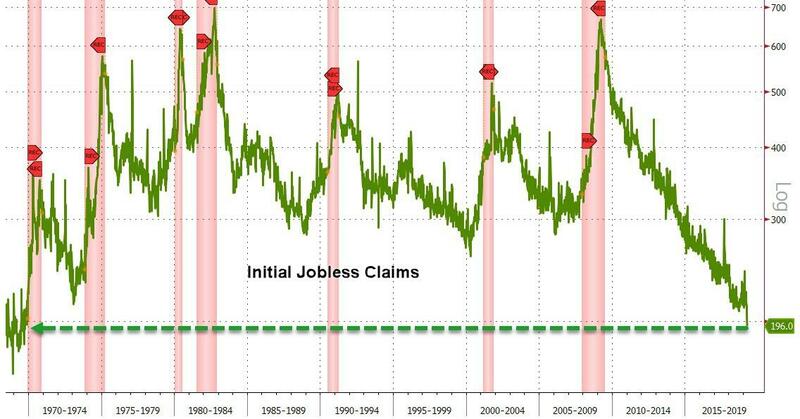 Initial Jobless Claims tumbled another 8K from the prior week's revised 204K to just 196K: the first sub 200K print in 50 years! 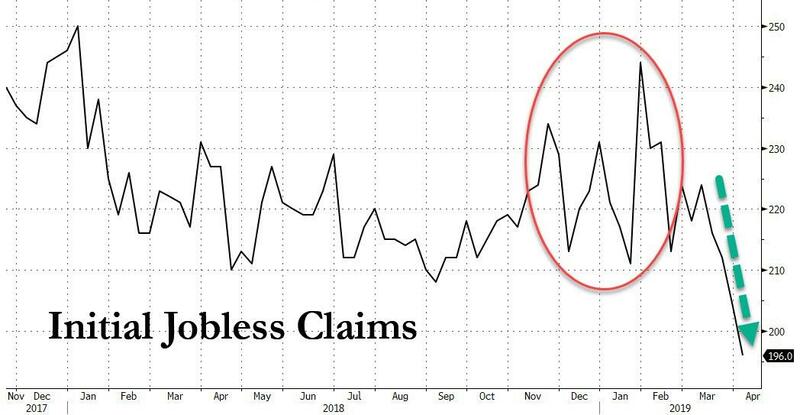 While the number will probably not come as a big surprise in light of the recent sharp rebound in payrolls, the Fed will be hard pressed to explain why it is pausing its rate hikes at a time when the fewest number of Americans are filing for jobless benefits in half a century. So much for that Q1 weakness?